I know you are in great pain, it is obvious that Judge Chigumba successfully managed to lead her evil team in subverting the will of the people. I told you yesterday (02/08/2017) that the tally between presidential and MP election results will give us evidence on whether the elections were rigged or not. Now evidence is there from the ZEC's data that they manipulated an excess of 100,000 votes in favor of ED. Today I will only give one evidence and will do that on daily basis till we expose every trick that Judge Chigumba used to suppress the will of the Zimbabweans. If you go through the total votes casted for MPs and Presidential candidates, you will observe a difference of above 100,000 ballots between them. What it means is that, Judge Chigumba manipulated more than 100,000 votes (definitely to favor ED). Out of all the provinces, Manicaland had a wider margin of above 48,000 ballots. 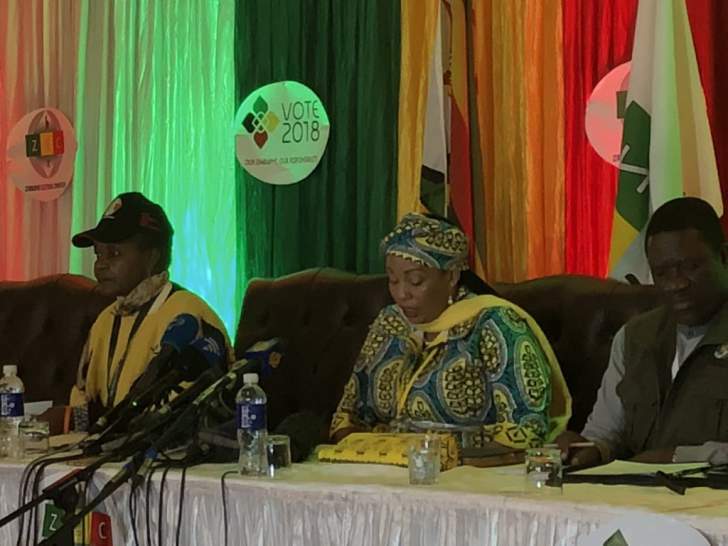 There are two possibilities, first, Judge Chigumba could have added more than 100,000 votes to ED's account because it is not possible for votes to refuse to tally in a harmonized election. The second possibility could be that Judge Chigumba deducted more than 100,000 votes casted for MPs to disadvantage opposition candidates. Every voter was given three ballots during the election day and were all casted (for MP, Councilor and President). These 100,000+ missing ballots could have been identified from the boxes but ZEC never reported them. It true and should be documented that more than 100,000 votes disappeared and are still missing just like Itai Dzamara. I am going to document these rigging strategies for the future direction and use because elections are always inevitable. I know that African observers will authorize this rigged and shameful election but what I want is for people to know what happened so as for them to learn from the past. Tomorrow Evidence Number Two is coming. In the best interest of honest and a healthy country, the majority of 'serious' Zimbabweans should call for the resignation of Judge Chigumba and her team recruited from the security pool.